50, 70 and 144 MHz in one beam. I have always enjoyed taking part in the UKAC series of contests, they are very busy and ideal for portable operating in the summer months. Not so much fun in the winter, but the chance to operate from home required a beam. I have tried to take part with a vertical co-linear, but the crossed polarised loss and my limited takeoff resulted in very poor results. The RSGB has recently added an FM section to activity evening, but while this is interesting to achieve any distance SSB is the mode. Here is a typical portable setup, this one was in December! I operate the Icom 7100, and this can facilitate 50, 70 and 144 MHz in SSB, so was looking for a beam that could do all 3 bands. 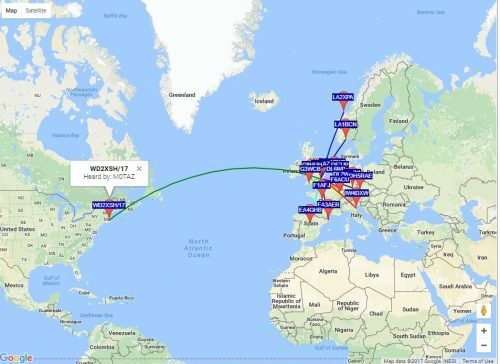 DK7ZB has a design on his website that covers all 3 bands, with a very short boom. Yes, it’s a compromise antenna, but working on the principle it’s better than nothing! The boom is just 1.2m long, and it is a single 50 Ohm feed. 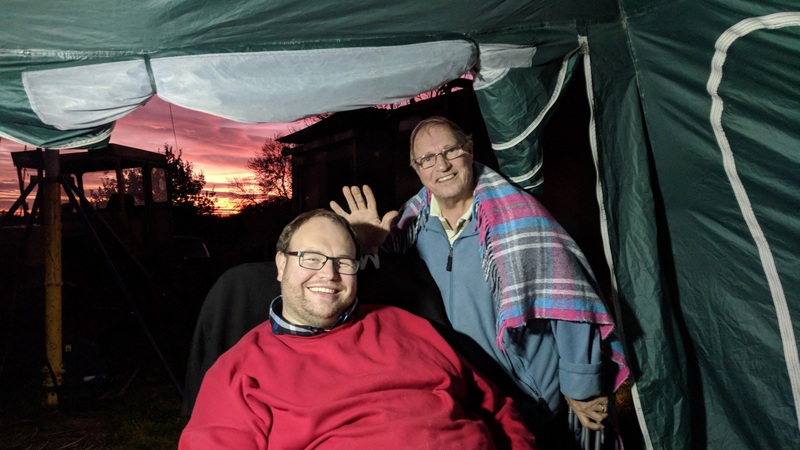 I found the antenna very helpful at my QTH, allowing a small discreet 3 band yagi to be installed and me to take part in the UKAC contests. Here you can see the antenna around 7m high. As a newly licensed amateur, one of the points I found hard to grasp was feeder losses. While it was explained to me that feeder cable had losses, it was sometimes hard to visualise what this meant in the real world. The maths can be a little scary, and so in this article, I have looked at some real-world examples. So we all appreciate that coax has losses, and we understand these increase with frequency and have a direct relationship to the length of the coax. Coax of course also has a maximum power handling rating, although this isn’t applicable to foundation licence candidates it’s worth considering this as you work towards a full licence and the ability to run 400w. The amount of RF power (and received signal) will always be less than we put in, it’s worth taking a moment to consider that this applies to both transmit and receive signals as losses work both ways. The addition of a Low Noise Amplifier at the masthead will help to offset the receive losses, but it will do little for your transmit power. Often we say that’s fine, I will just use more transmit power, but that’s not always possible unless you have linear amplifiers to hand. 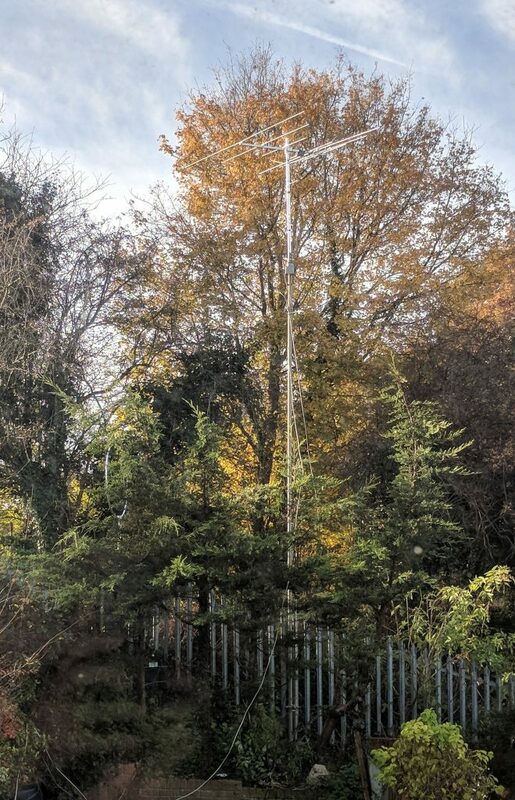 At HF (below 30 MHz) the losses are not significant, and we can usually opt for RG58 or RG213 coax, but as we move up the spectrum 144 and 430 MHz present a different challenge. The quality of your coax now becomes a significant factor in how your stations perform, and investing in good quality coax will often provide a better return than spending more on your antenna. Let’s assume we have a typical coax run of 30m (100ft in old money) and we wanted to review the actual power presented to the antenna for various coax choices. In this example, we have a radio with 10w (Foundation Licence) out and will be using 30m of coax. So for each frequency, we can now read off how much power will actually reach the base of the antenna. So for every pound invested in your coax, performance will be increased on both your transmit and receive path. The actual coax you choose may well be influenced by the route and the bend radius, large diameter coax doesn’t bend very well. The figures have been calculated by looking at the feeder loss in dB/100m. These figures are a guide and provide the typical power (loss) seen for these coax types. The actual figure may vary, I have not considered coax connectors and adaptors as the quality and losses vary, so your measured RF power is likely to be even lower as the losses increase. In selecting your coax you may want to consider the dB loss figures quoted by the manufacturer, the lower the dB the better in this example. And lastly maximum power rating for typical coax types. The following online resources will help you calculate losses. 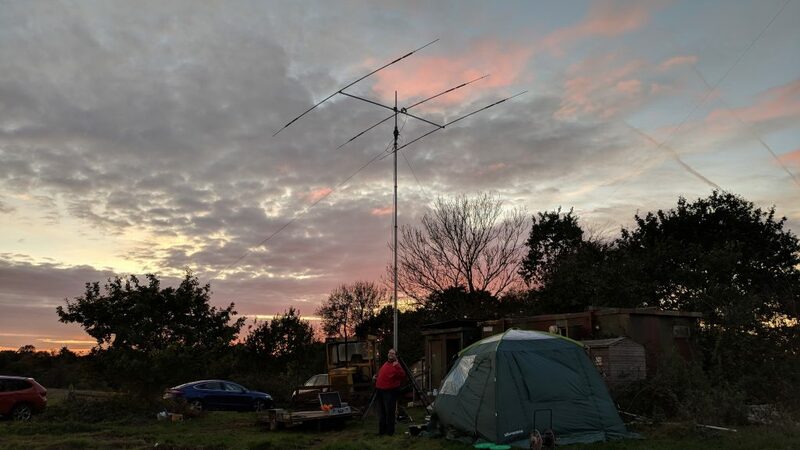 The CQWW SSB event runs over the last weekend of October and covers all contest bands from 1.8 MHz to 28 MHz. The event is one of the largest international events of the HF calendar and encourages stations to operate from far-flung and exotic parts of the world. We opted for the sun-drenched shores near Ongar in Essex, using our contest site at the Kelvedon Hatch Secret Nuclear Bunker. We had decided before the event it would be more of a casual entry, as the contest had started at 00:00 Hrs on the previous Friday/Saturday morning. We have previously taken part in the event, with a most notable event in 2015. 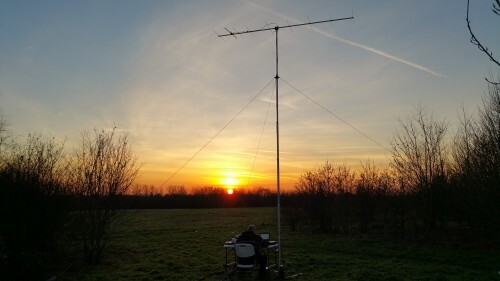 This year we used a 7 MHz vertical, with elevated radials, and a 3e multiband beam for 28/21/14 MHz @ 10m. 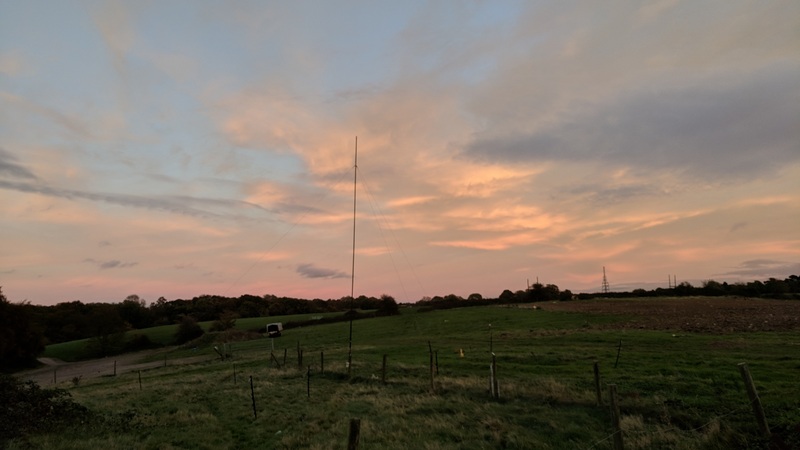 The HF bands remained in good shape, with some good openings on 28 and 21 MHz and the vertical worked well at 7 MHz. The lower HF bands were predictably crowded, so I concentrated on search and pounce on the higher bands. George M1GEO and Fred G3SVK with a great sunset behind. QSO and DXCC per band. 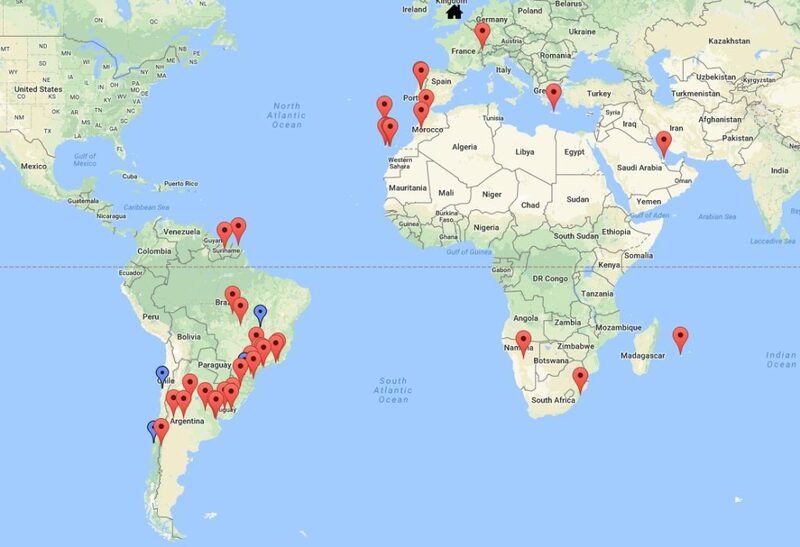 28 MHz provided some interesting DX with a lot of station from Argentina, Brazil, French Guiana, Chile, Suriname, Namibia, South Africa, Qatar and Reunion Island. 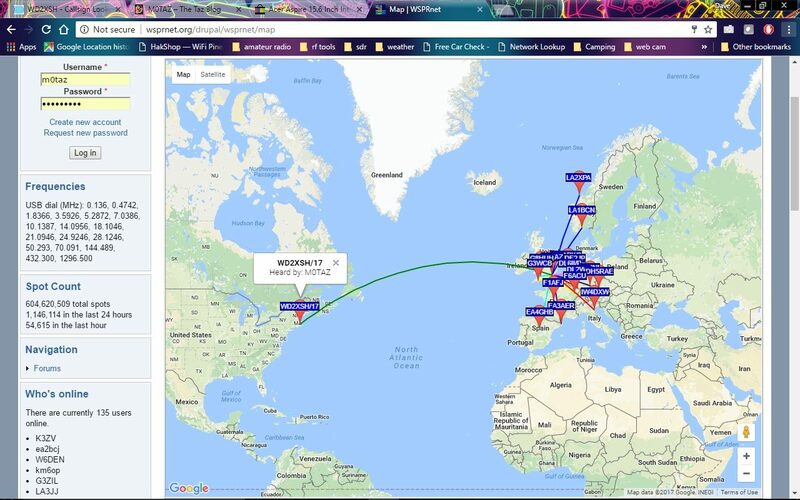 In total, we worked 417 QSO in 76 DXCC and had some fun on the bands.